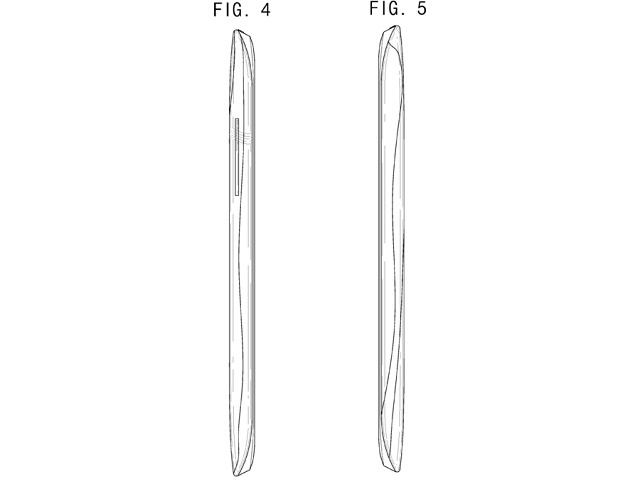 Samsung gets a new design patent; Can it be the Galaxy S5? 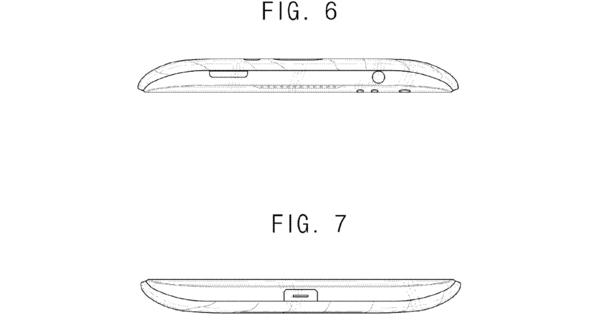 Recently we came across a design patent application from Samsung which might be used for the upcoming Galaxy S5 or the next Galaxy Note and now Samsung has been awarded a patent for a buttonless smartphone which looks like well, a Galaxy smartphone but without those buttons on the front. So the question is if the design could be real and come with the Galaxy S5. The sketches of the patent reveal the things we can make out from the new patent awarded to the South Korean giant. While the complete device seems like a normal Galaxy smartphone, the back has a mysterious rectangular bar on the right which we can guess to be for the fingerprint scanner since rumors have suggested of a fingerprint scanner in the future Samsung smartphones including the Galaxy S5. 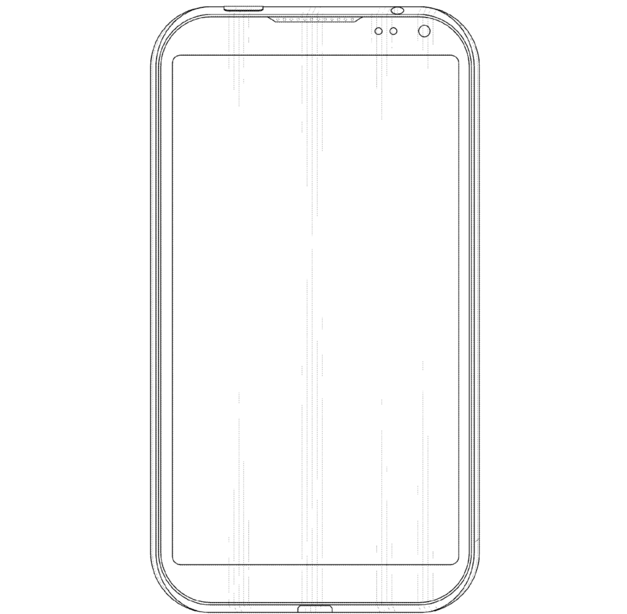 The sketches also look a lot like the LG G2. 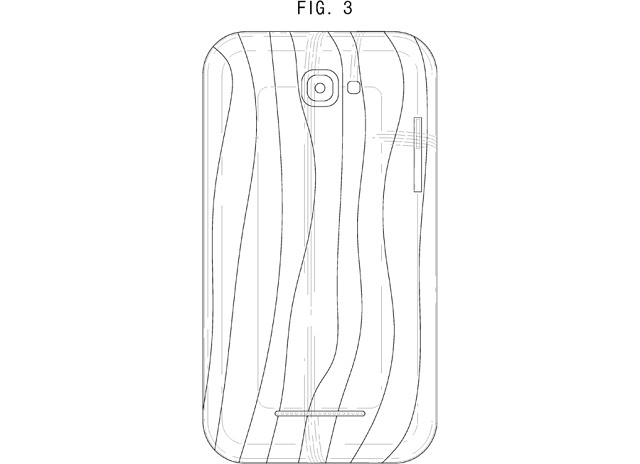 All in all it looks pretty plausible but we’ll have to wait and watch if the Galaxy S5 features a design similar to this patent. The Galaxy S5 is rumored to be launched on Feb 23 at a pre-MWC event or in March and hit the shelves in April so there’s not a long time to go and we are sure to know more about the design in the upcoming weeks since we already know most of the specs of the device. So what do you say of the patent design? Will Samsung go buttonless with the Galaxy S5, well my guess as good as yours so sound off in the comments below.